We get asked often about PAT testing kettles. Below are some guidelines on how to go about this. 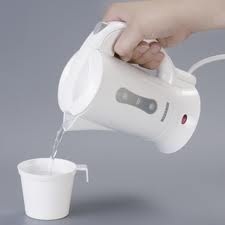 We will look at corded and cordless kettles as well as travel kettles. The different heating elements used will also be covered. All the kettles that we have come across are of Class I construction. (Look here for an explaination of Class 1 and Class 2). When PAT testing we need to measure the Earth Continuity and Insulation Resistance. 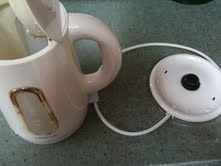 For the Earth Continuity test the user needs to clip the test lead onto the heating coil of the kettle. The picture above shows a nice clean heating coil. It will be quite easy to clip onto this when PAT testing. However some kettles may have a heating element that has a lot of scaling like the one shown below. 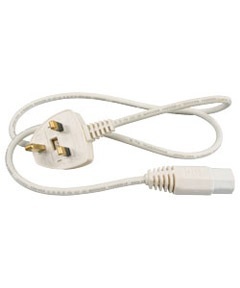 If this is the case, use the teeth on the crocodile clip of the test lead to clean some of the scale off so that we can get a good electrical connection to the heating coil. Many modern kettles have a flat plate heating element as shown in the picture below. Most PAT testers have probes with a "point" at the end instead of a crocodile clip to allow the user to push onto the plate to get a good connection when carrying out the Earth Continuity test. The Kettle has always got to be switched ON when being tested. This is to make sure that of there is a fault after the ON/OFF switch we are still able to detect this. The recommended procedure is to test the kettle lead on it's own and then test the lead and kettle togther. It is usual to attach two labels on. One on the lead and the other on the kettle. 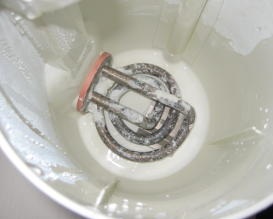 Most cordless kettles have a custom way of connecting from the base to the kettle. In this case it is usal to test the base and the kettle as one item. Travel kettles have some peculiarities of their own and these are highlighted below. 1. They usually have an integral power lead. This is not a problem during testing as the lead and the kettle are just tested together. 2. 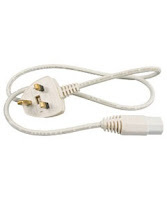 Some travel kettles have a 230V/110V switch to allow them to be used anywhere in the world. For this reason some of them are fitted with a 13 Amp fuse even when a 3 Amp fuse will be sufficient. 3. 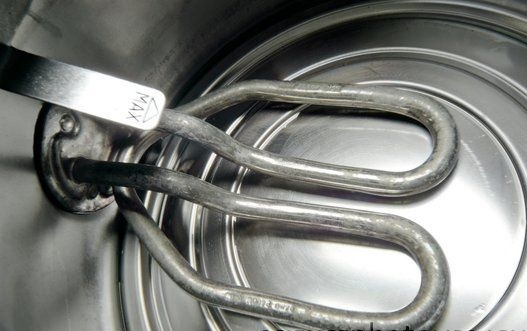 The heating element on some trvale kettles can be covered with an insulated coating. In this case the kettle will have to be treated as a Class 1 plastic appliance during the testing. If the tester does not have this feature, then it is quite acceptable to test the travel kettle using the Class 2 test. As there are many different designs of kettles one has to adopt the correct PAT testing procedure when testing them. This Blog details the main differences and gives guidelines on how to go about this.